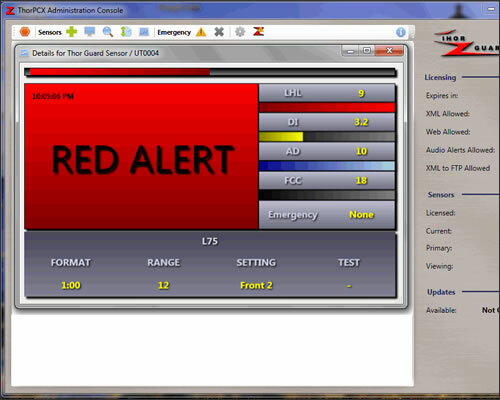 ThorPCX is service software that installs on a Windows-based PC or Server. 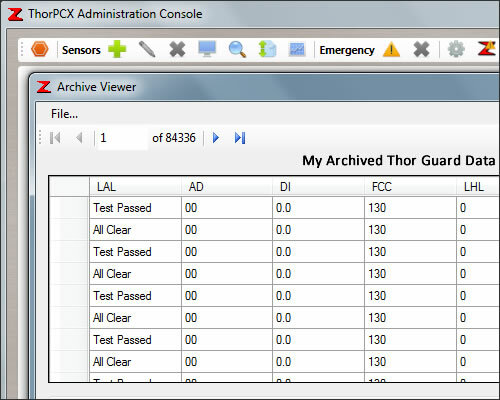 It is the core software that handles all THOR GUARD data. ThorPCX receives incoming data from your THOR GUARD system via a directly connected Serial/USB cable or from over your Local Area Network via a serial-to-Ethernet data-forwarding device. 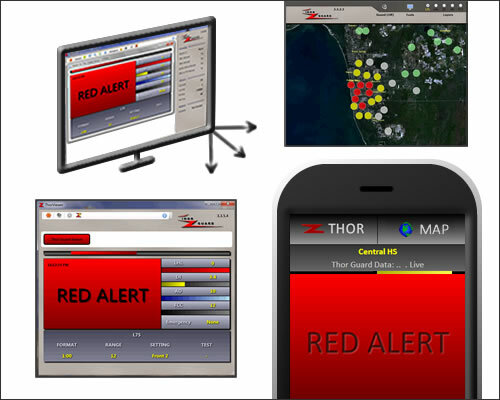 ThorPCX can successfully manage up to 100 THOR GUARD sensors on your local or worldwide network, automatically archive storm data files for later review, send automatic email and text alerts, FTP data to your website and provide all of your THOR GUARD Sensor data to any of our many software display products.